The Christmas Chronicles trailer proves that Kurt Russell can even make Santa Claus look cool. Netflix is getting in on the Christmas spirit this year, spreading some holiday cheer with a new take on Santa Claus. Clay Kaytis (The Angry Birds Movie) directed the film from producer Chris Columbus (Home Alone, Harry Potter and the Sorcerer's Stone), and it looks like another hit for Netflix's original content. The Christmas Chronicles tells the story of brother and sister, Kate and Teddy Pierce, who hatch a Christmas Eve plan to abduct Santa Claus. The siblings decide to film their adventure, which turns into an unexpected action-packed journey that most kids more than likely only dream about. However, the plan ends up with the brother and sister crashing Santa's sleigh, which then sets Santa's Christmas back significantly. In order to fix this problem, the brother and sister have to help Santa fulfill his Christmas Eve duties. Right off the bat, one can tell that Kurt Russell isn't playing the typical version of Father Christmas that we all know and love in The Christmas Chronicles. There's no padding or weight gained, which shows off a slim Santa Claus that we don't usually associate with the jolly Saint Nick. Director Clay Kaytis had nothing but great things to say about Russell's awesome performance. "No one is better suited than Kurt Russell to bring our version of a rugged, charismatic, and hilarious Santa Claus to life. From our first meeting, he completely threw himself into this iconic role - and grew an impressive beard in the process. It has been a dream come true to work with Kurt in creating what I believe will be the new definition of Santa Claus for generations to come." 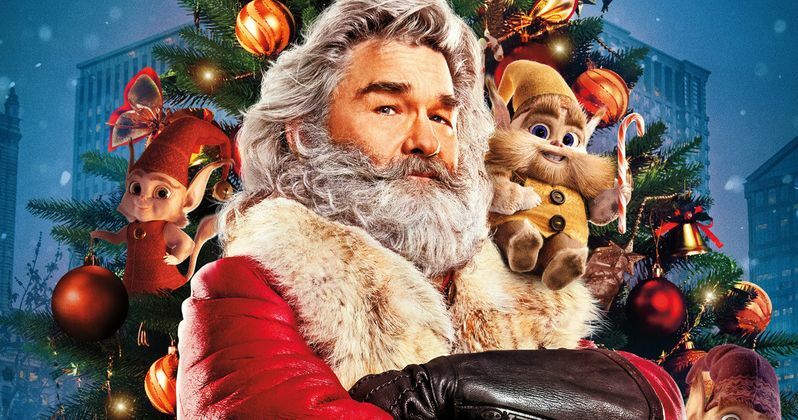 Producer Chris Columbus also had some kind words about Kurt Russell's performance in The Santa Claus Chronicles, stating that the actor "is the definitive Santa Claus." Just a brief look at the trailer for the film certainly shows that Russell is effortlessly charming as the character, bringing a calm, cool, and collected vibe that he is known for. Shades of Escape from New York, Big Trouble in Little China, and even Guardians of the Galaxy Vol. 2 are evident as Russell takes on the role of Santa Claus. Related: From Tim Allen to Kurt Russell, Which Santa Actor Is the Best? The Christmas Chronicles hits Netflix on November 22nd, jumping on the holiday season a little early. The film will certainly be a welcome addition to a time that is usually flooded with the overly sappy Hallmark Christmas movies that dominate the airwaves throughout the end of November and most of December. It would not be a total surprise to see Netflix start to crank out more holiday-themed movies in the future, especially if The Christmas Chronicles does well. While we wait for the movie to premiere, you can watch the awesome trailer below, thanks to the Netflix streaming YouTube channel channel.